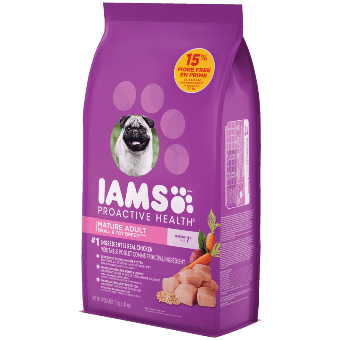 Choosing the best dog food for senior dogs can be challenging. 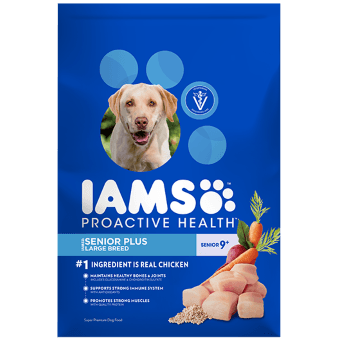 IAMS® Mature and Senior+ dog food takes the work out of finding just the right one. 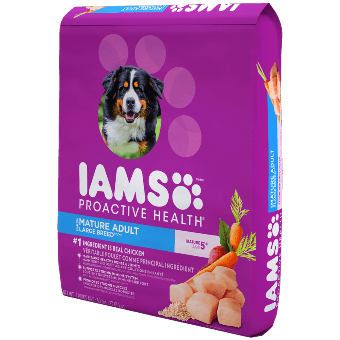 Our IAMS® PROACTIVE HEALTH® Mature and Senior Plus formulas are crafted with wholesome ingredients for optimal nutrition, plus essential nutrients that help support healthy aging, helping mature dogs stay active and healthy. 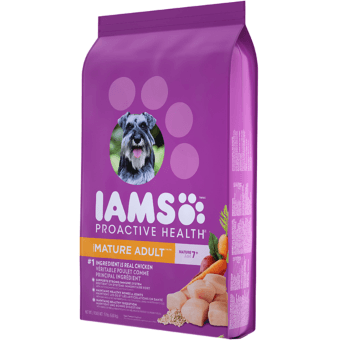 These diets include an antioxidant blend with Vitamin E and beta carotene to help boost the immune system of older dogs.